As crafters, most of us have moments we wish for an undo button, rewind or a do over. 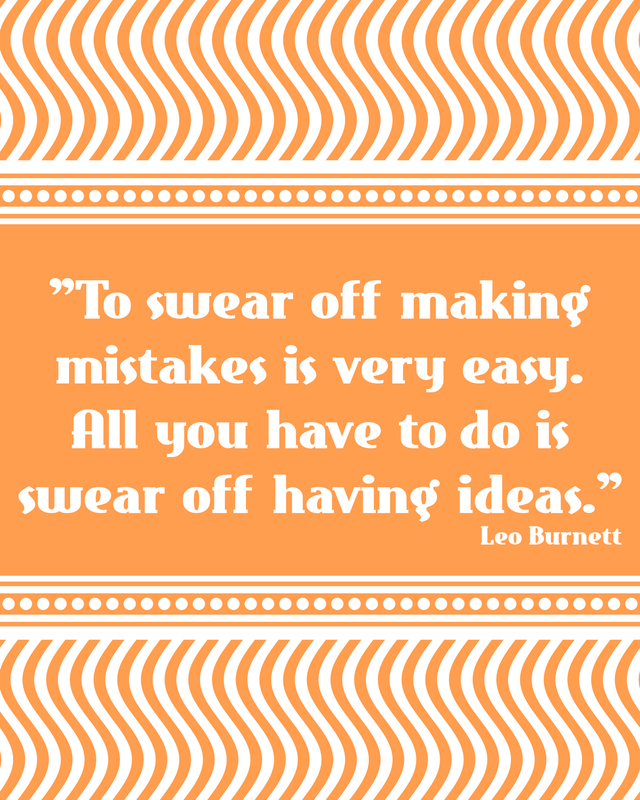 Hopefully you enjoy this slightly painful story about one of my worst crafty "oops!" 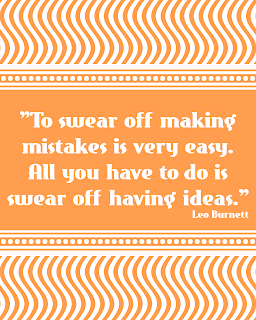 and the printable quote art about making mistakes which will hopefully help you feel better when you glue your fingers together, cut the paper or fabric just a bit too small or realize when you've done hours of beading that it's just not working. I love working with porcupine quills in my beadwork. The dramatic look of them with their off-white color and black tips, plus their lightweight is a wonderful look in bead embroidery or earrings. When you buy the quills, or get them from local sources, they come whole. Sharp tips with tiny barbs and a root of sorts on the other end. To use them, you have to snip off the tops and bottoms. Because they are natural, they vary in diameter and markings. So to work with them, they need to be sorted. One day I was sorting a bag full of them, matching them into sets so they were ready to go for my beading. There were a few hundred in a cereal bowl on my desk, and I was pulling out about 20 at a time. This already seems like a recipe for disaster. Of course I knocked it over. My desk at that time faced the living room. It was pretty close to when I had to go to work, so I put a towel over them to remind me to pick them up when I got home and to keep anybody from stepping on them. My husband washed whites that night. He picked up the towel to wash it. He's pretty used to crafting accidents. To glitter on his clothes, spilled seed beads, all those sorts things. So when he saw the quills, he picked up what he saw, and put them in the bowl on my desk. The towel went into the laundry with his teeshirts. The next day at work, he thought for sure he had something wrong, an allergic reaction to his deodorant maybe? Something was causing a lot of pain in his armpits. When he got home, he showed me the scratches. I took a close look at his teeshirt. A couple of quills had worked themselves into the seams. So all my other plans for crafting that evening were set aside so I could through all his freshly laundered teeshirts with a pair of pliers looking for porcupine quills. It was about 3 years until I worked with quills again, and I'm incredibly careful with them now. Click the image for the larger version of this printable quote. I hope you like it!